This modern Whitianga home with excellent views and outdoor entertaining areas is 1km to Brophy's beach for sheltered swimming, kids playground, coffee cart and BBQ area. Within walking distance or a short drive to the town, shops, cafes and restaurants. Wrap around decks allow you to enjoy in mountain and sea views from the front or dine and watch the kids play in the backyard. Within 45 minutes you can find yourself relaxing at any one of the pristine locations the Coromandel is famous for including New Chums, Whangapoua, Matarangi, Kuaotunu, Otama, Opito, Wharekaho, Brophy's, Buffalo, Cooks, Cathedral Cove, Hahei and Hot Water beaches. 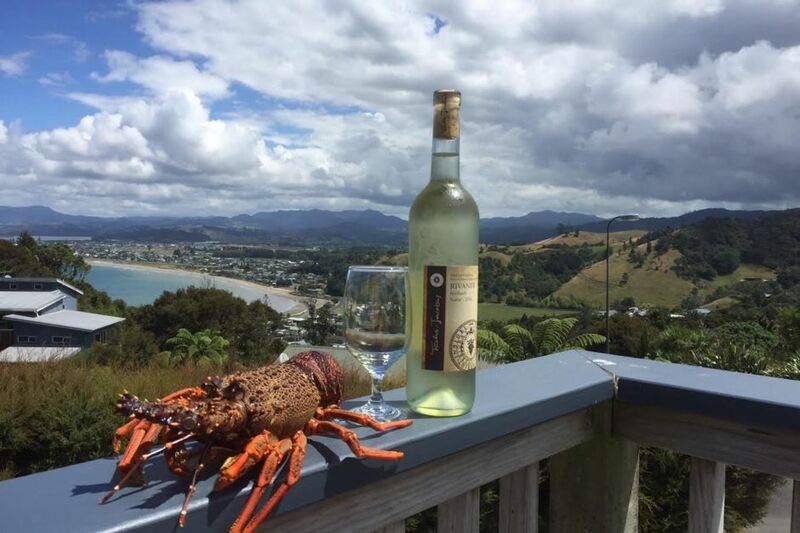 Just make sure you are home in time to pour yourself a wine and watch the sunset over Whitianga and Buffalo beach. Bunks in room 3 can be placed as 2 singles. A family of four that love to enjoy the outdoors the Coromandel has to offer. 1 adult and 2 kids kayaks, outdoor shower, fruit trees and edible garden for guests to use.